Mer (and others on the Wet Rocks Diving team) learned to be high-capacity divers via GUE Fundamentals and learned to Cave dive or Tech dive through GUE. This makes us very familiar with the psychology of the process our students experience since we dealt with fixing our own real problems during these GUE classes. Perspective: Mer is one of only 9 instructors worldwide for GUE who teach both GUE Cave and GUE Tech classes. Regardless of your interests and goals, this range of perspective will be an asset to your Fundamentals or coaching experiences. 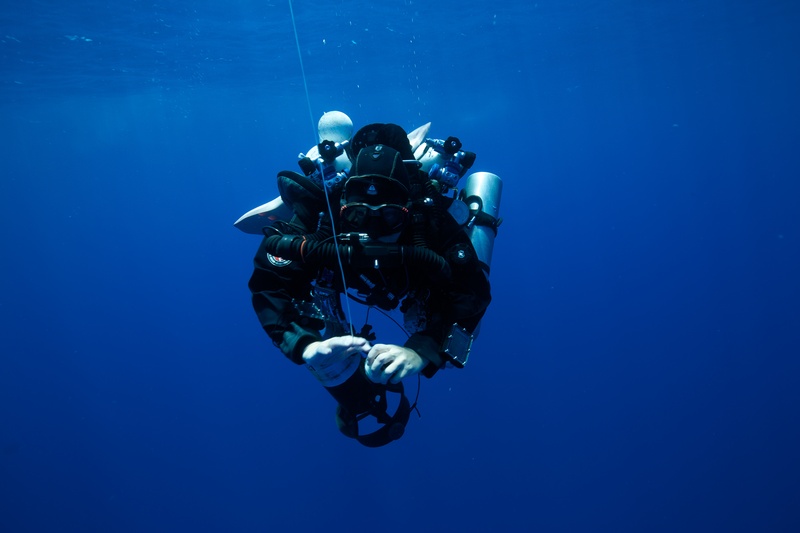 Location: Wet Rocks Diving has bases in Hawaii and Florida, with a focus on growing team-minded divers in the Eastern USA. We are available worldwide by advanced arrangement. Gear doesn’t need to be perfect, just sufficient for productivity. Often much of your current gear can be adapted. 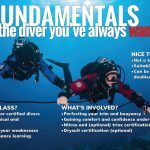 Fundamentals is for learning how to improve both skills and kit. If at the end, this holistic way of diving is not for you, that’s OKAY! Feel free to take away skills improvements and add them to your system of choice. To cultivate high capacity divers, to form high-functioning teams, to develop capable dive professionals with careers worth having, while exploring and conserving our underwater world… and having a heck of a good time while at it. To be the dive training and guiding company of choice for DIVERS who seek the best. To be the team of choice for DIVE PROFESSIONALS who seek the best development and partnership. cultivating exploration on both personal- and global- scales.